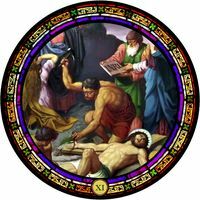 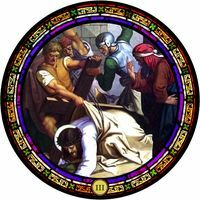 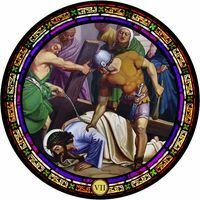 In this fourteenth and final station of the Cross, Jesus is shown being laid to rest in the tomb surrounded by those who loved him most and were ever-faithful to him and his ministry. 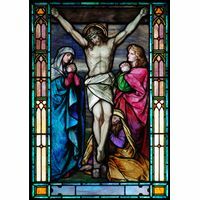 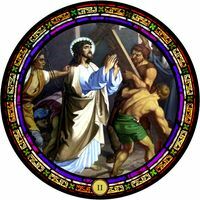 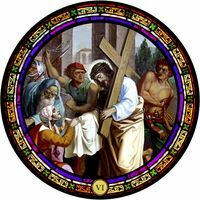 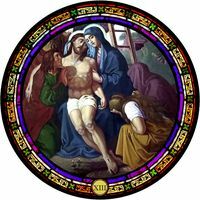 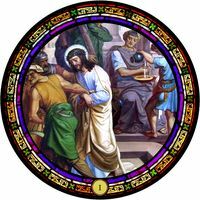 This emotional and inspiring scene is captured in great detail by our talented stained glass artists with high-quality mineral pigments and polymers that provide strength and long-lasting beauty. 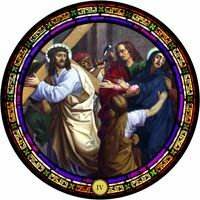 This is the perfect addition to a church, chapel, or other house of worship. 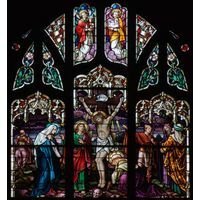 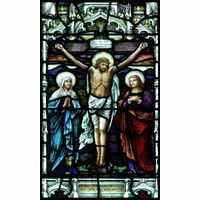 A religious window like this would make a good addition to a house of worship or a hospital chapel. 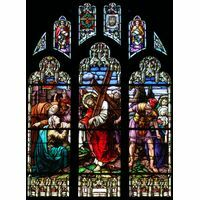 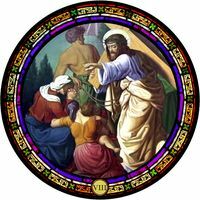 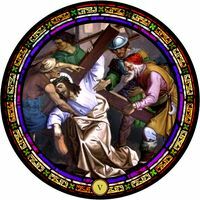 Need help paying for church stained glass? 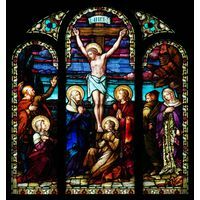 See our fundraising guide for effective solutions to any financial hurdle your church may be facing. 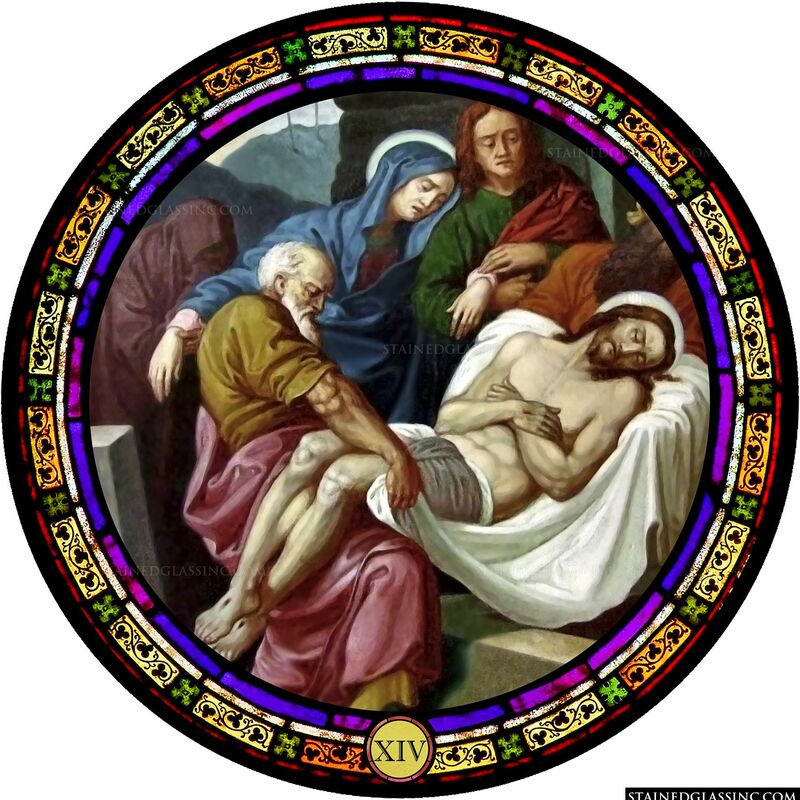 Rough estimate. 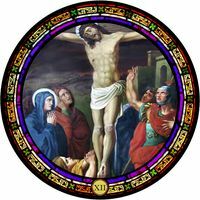 Our team will respond with a more accurate quote.